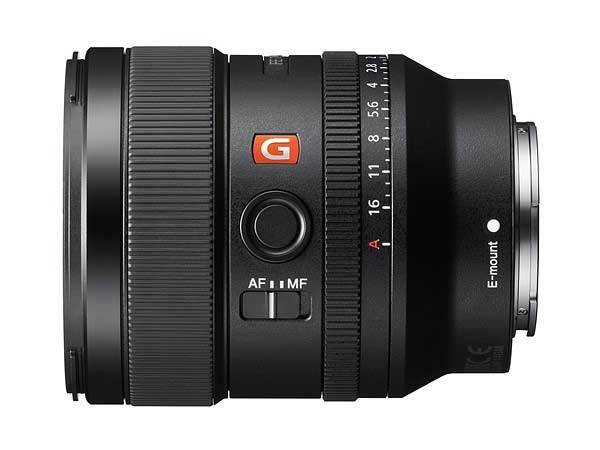 Sony has announced the 24mm f1.4 G Master wide angle prime lens, the lightest in its class at just 445 grams. Part of what makes the lens lightweight is the adoption of a new Direct Drive SSM. The motor provides three times the thrust of the previous DDSSM, allowing for fast, accurate and quiet operation. The 24mm lens has an optical design of 10 groups with 13 elements, including two XA (extreme aspherical) which suppresses sagittal flare. What is ‘sagittal flare’? Good question! Sony says it’s ‘a phenomenon that results in an unnatural spreading of point light sources that appears somewhat like a bird spreading its wings and becomes more pronounced towards the image periphery. It is most common in large-aperture lenses’. Sony says this makes the lens a winner for night sky photographers. The lens also has three ED (extra-low dispersion) elements, and Nano AR Coating is applied to reduce flare and ghosting for clarity. Bokeh is both soft and natural, Sony says, as the lens was designed to handle spherical aberration, and axial and lateral chromatic aberration. Finally, the lens features an aperture ring with Linear Response MF for responsive manual focus, and a customisable focus hold button. There’s no local pricing or availability, but according to American release info the lens will ship October for US$1400. So maybe around $2000 here.